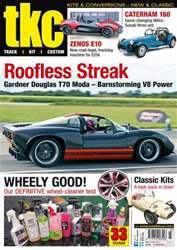 Welcome to the March/April 2014 issue of tkc mag. Once again we've been out and about up and down the country to gather together some what we hope is the very best kit and specialist car coverage. 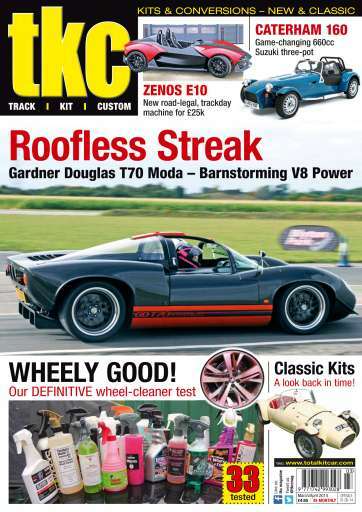 This time we have ZENOS E10, Gardner Douglas GD T70 moda, Caterham 160, guides to fuel pumps and MIG welders for DIY -use. We also take a closer look at fuel pumps, fiendish little devices that can render your car immobile and/or parked in a lay-by. We also visit ITG, air filter meisters, and have what we believe to THE most in-depth wheel cleaner feature with no fewer than 33 products put through their paces.